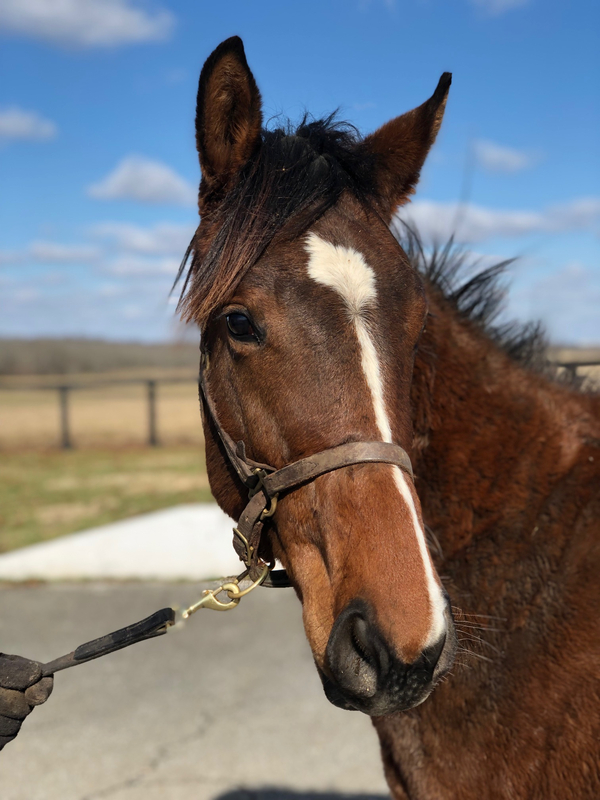 Claiborne Farm provided some nice photo updates on Tour of Duty, Sabbatical's colt from Season 1! "He is doing well in our yearling division. He comes in at 7am each morning and goes back out in a field of 8 yearling colts around 1pm for the afternoon/evening." 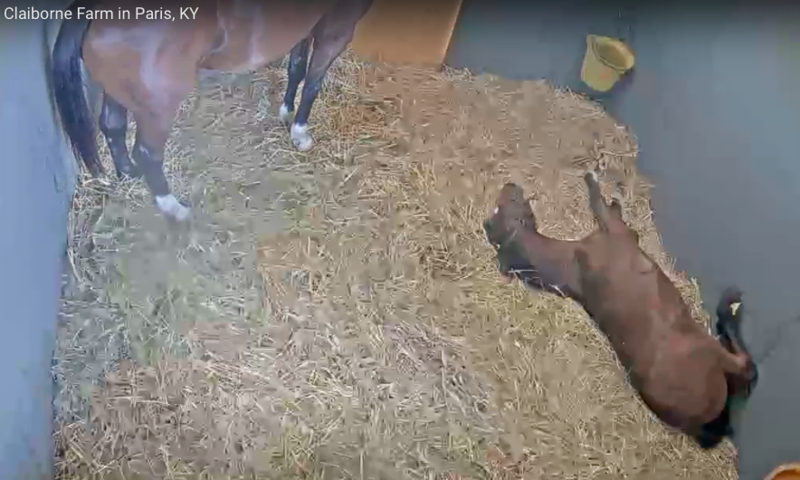 Earlier today a Foal Patrol Fan noticed on the live feed that Tour of Duty was “cast” in his stall, and she reached out to us. We immediately called the farm and within minutes, the farm manager went into the stall and pulled Tour of Duty from the wall. Fortunately, Tour of Duty was not stressed out and seemed fairly nonchalant about the entire situation. A horse is said to be “cast” when it gets stuck on its back or side and can’t get its feet under it to stand up again. This is a screenshot of what the fan saw. It's hard to believe Tour Of Duty is almost seven months old! Soon, he will be weaned from his mother and will start training for his future. 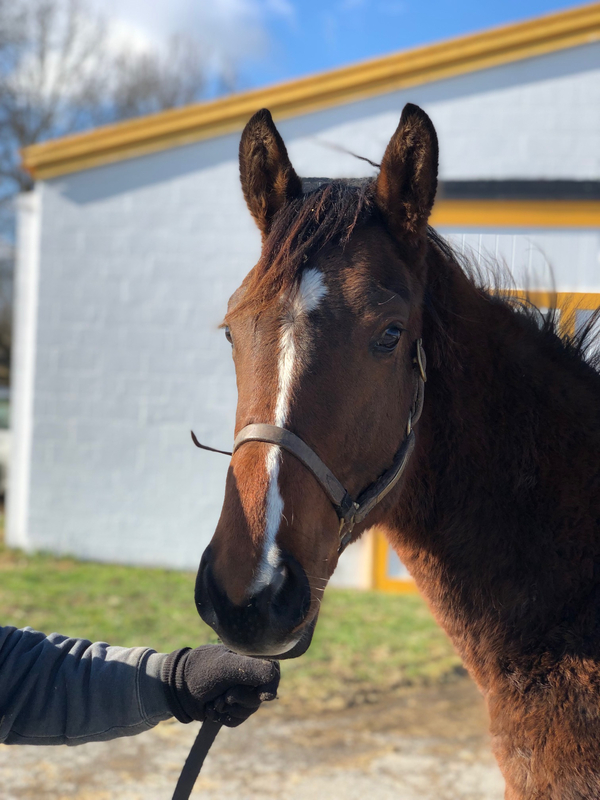 It's going to be so much fun following him...our first Foal Patrol baby!